Who are the Volunteers of the WVFD? For more than 215 years, people just like you decided that they wanted to make a difference in their community and help those during their time of greatest need. They stepped forward, reached out their hand and became a Hometown Hero, a Wethersfield Volunteer Firefighter. As it has been that way since 1803 and continues that tradition to this day. Who are the Volunteer of the WVFD? You already know us. We’re your friends and neighbors. We’re mothers, fathers, husbands and wives; sons, and daughters, sisters and brothers. We come from every profession and every walk of life. We are company executives, students, contractors, craftsman, engineers, administrators, plumbers and electricians. We are CEOs, medical professionals, sales associates, teachers, business owners and VETERANS from every branch of service. Simply put, we are Neighbors Helping Neighbors. What Does it Take to Become a WEthersfield Volunteer Firefighter? Firefighters across the country are held to very high ethical standards. Terms such as, Honor, Duty, Integrity and Responsibility mean something in the Wethersfield Volunteer Fire Department and all personal are expected to uphold our long and rich dedication to those guiding principles. 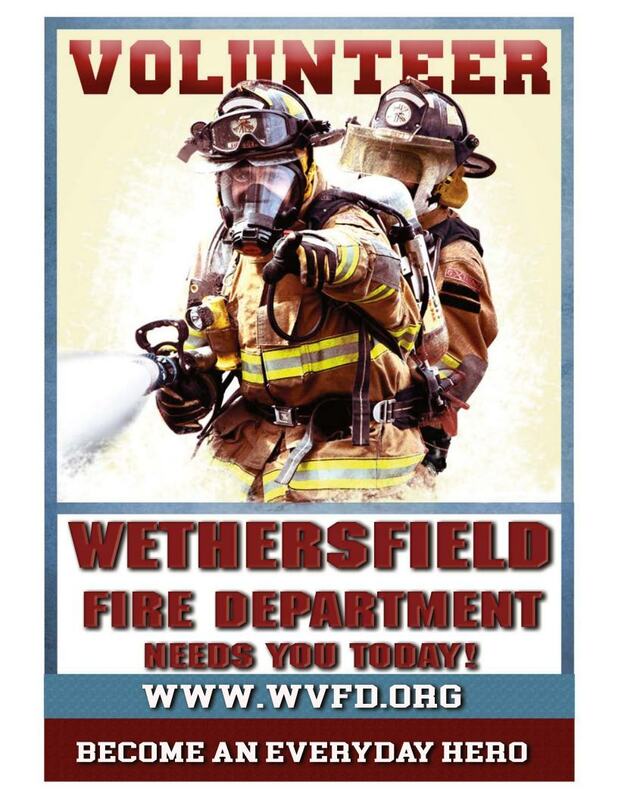 To apply to become a Wethersfield Volunteer Firefighter please click the button below and download the WVFD application. For answers to some frequently asked questions concerning the intake process, time commitment and the first year, please click the button below. If you would like to talk to some of our Firefighters to find out more information, stop by any Firehouse on a Monday evening. Monday nights are Firehouse nights!